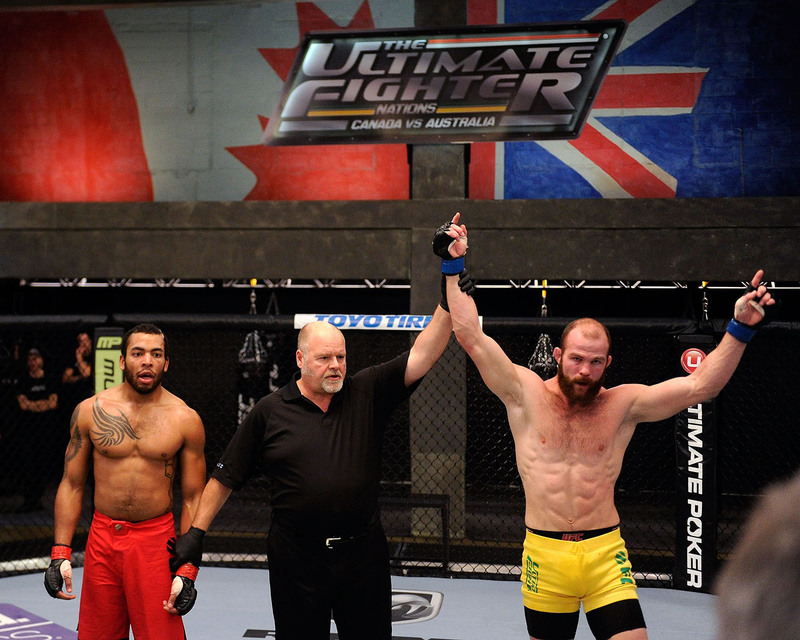 Episode recaps from The Ultimate Fighter Nations: Canada vs. Australia. Tune in Wednesday's at 10 pm ET/7 pm PT. 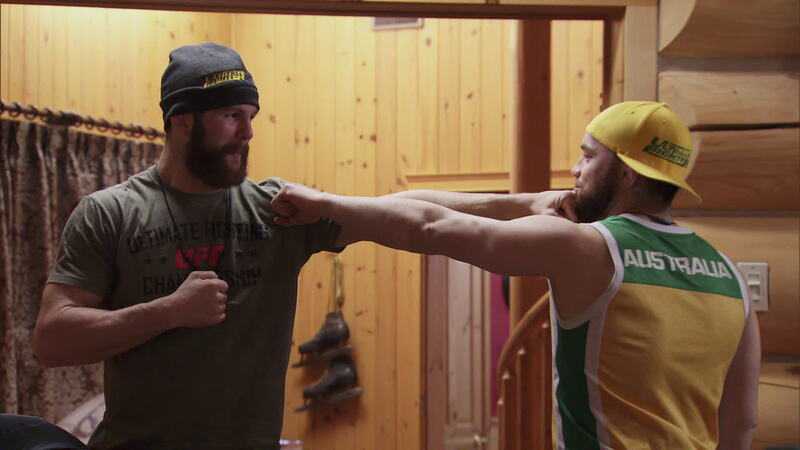 The episode opens up at the TUF house in the wake of Tyler Manowaroa’s win over Nordine Taleb. Team Canada appears to be in shock. As Luke Harris puts it, “We [thought] Nordine was going to walk through Tyler.” Because of the loss, he goes on to say that the whole team feels lost. The effect on Team Australia has been the complete opposite. Brendan O’Reilly says the victory has lifted team spirits and re-energized them. 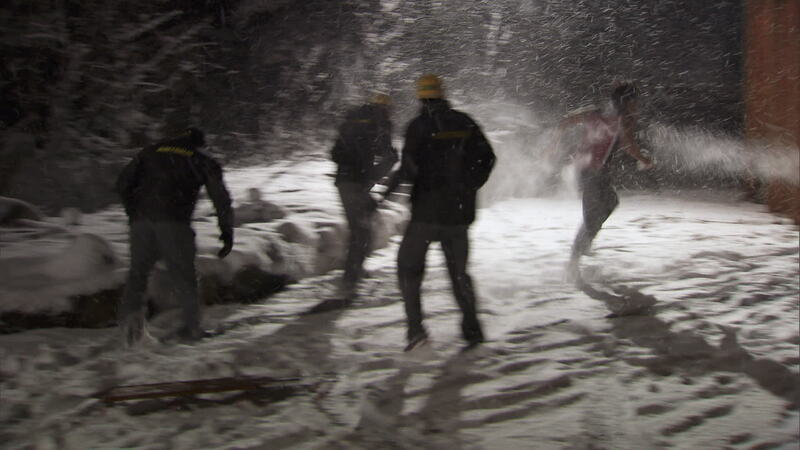 Team Australia feels so good they even start having a snowball fight in the back yard. Team Canada’s Elias Theodorou decides to join them and even goes on to humble brag about his snowball throwing capabilities. From there, things shift to focus on this week’s match between Canada’s Matt DesRoches and Australia’s Richard Walsh. A yoga enthusiast, Matt talks about how he actually likes living in the TUF house (don’t hear that too often). He says being in nature and the relative isolation of the setting helps calm him down. He finds the whole situation tranquil. As for his game plan for the fight, Coach Patrick Cote really wants Matt to focus on his boxing and use a lot of footwork to avoid being pushed against the walls of the cage. Cote also adds, “Matthew is quiet, but he’s our secret weapon. On the Team Australia side, “Filthy Rich” Walsh discusses what sparked his interest in MMA. He remembers watching the UFC’s best knockouts DVD when he was 15 years old and has been hooked ever since. While not as complimentary of the living conditions as Matt, Richard credits The Ultimate Fighter for teaching him how to train and compete as a professional. Assistant Coach Izzy Martinez likes what he’s seen of Richard so far. He claims that DesRoches, “Just wants to throw big shots,” and that Richard’s superior striking will lead him to victory. As far as Richard is concerned, he thinks that experience will be the difference. The way he talks about himself (and that manly beard) will make you think that he’s much older than he actually is. At 24 years old, he’s only three years older than Matthew Desroches and holds a 7-1 record compared to Matt’s 4-0. Brendan O’Reilly chops up a water jug to create a modified bullhorn and shows us how there’s a frighteningly diverse amount of blades around the TUF house. Other than that, it’s fight time! Matt opens up with a front kick directly to Richard’s face. It glances, but Richard uses the opening to push Matt against the cage. The two reverse positions and trade knees at a frenetic pace. They bounce around the cage some more and both answer each other’s knees to the body with one of their own. Richard finally keeps taking angles and finally gains the position advantage. Matt tries for a suplex takedown that fails, but it forces Richard to break his lock and the two move back to the center of the Octagon with 2:33 remaining. Matt throws a big right hand, Richard dodges and scores a solid cross. Richard pushes Matt against the cage and tries for a takedown. He switches between single legs, double legs and high crotch variations, but Matt stops each and every one of them. They trade punches in the middle and Matt loses his mouth guard in the process. The ref asks Matt if he wants to rinse it off, but the Canadian just pops it right back into his mouth. When they restart, Richard scores an overhand right that wobbles Matt. Fortunately for DesRoches, there is only ten seconds left and the bell rings to save him. In between rounds Matt’s corner tells him to throw more combinations while Richard’s tells him that he possesses the striking superiority. The second round begins with Richard dipping under a jab and shooting for a takedown. Matt defends, but finds himself back against the fence. They break, but Richard immediately shoots in again. Much like the first round, Richard tries a variety of takedowns, but none of them are successful. They break the clinch with just over three minutes left and Matt tries to pick up the pace. He swings a big hook, but Richard beats him to the punch with a left hand of his own. Both a combination of the power from the punch and losing his footing, Matt falls down, but immediately rises to his feet. He throws some more power shots, but none of them connect. Richard grabs the tie up and goes for a double leg takedown, This time he’s able to bring Matt to his knees, but he can’t advance from there. Matt makes it back to his feet and the two stall out. The ref separates them and there’s 40 seconds left. Matt finally finds a home for that right hand and scores a couple more punches as Richard rushes in, but the round ends before he can capitalize on the momentum. The scorecards come back and they give Team Australia their second straight win. 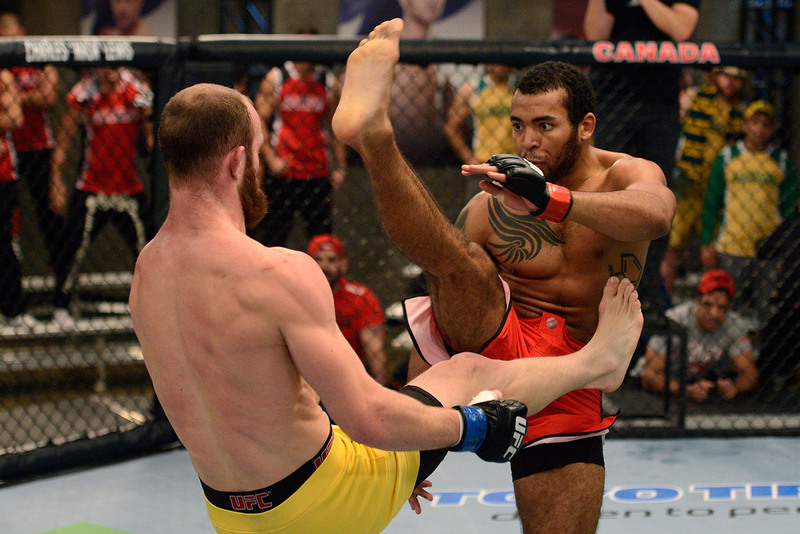 Richard is happy with his performance and knows that he is one step closer to his goal of competing in the UFC. Matt says that he was getting frustrated during the fight since his strikes weren’t landing. This then led to him panicking and not using all of his skills. We move to the fight announcement and it will be Team Australia’s Dan Kelly against Team Canada’s Sheldon Westcott. The episode ends with a sneak preview into next week. Does Team Australia keep the momentum going? Will Sheldon’s knee hurt his chances for victory? Are there any other weapons lying around the house? Find out this and more next week on The Ultimate Fighter!